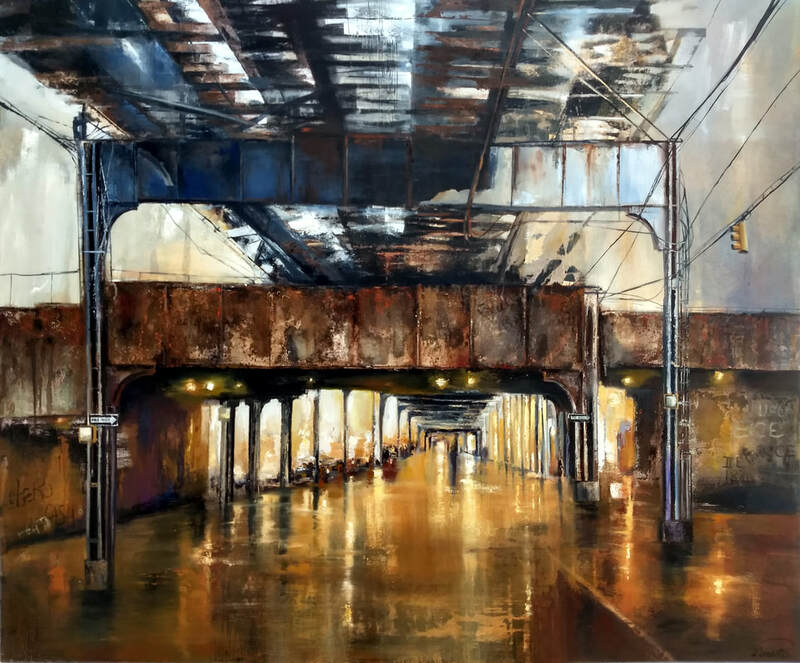 My inspiration conceptually dwells in the urban industrial landscape ,where my eyes are playing with different surfaces ,such as disintegrated concrete ,rusting metals and detached paint. Light ,and permanent transformation, penetrating all that creation of mankind ,is the most current topic throughout my work . I concentrate into realistic details ,seeking to evoke the idea of antiquity and life ,left behind. In order to achieve these effects ,I build the surface of canvas with different textured acrylic media's .When it dries out,I start painting with the traditional oils. It takes days and weeks to complete one of my art works.